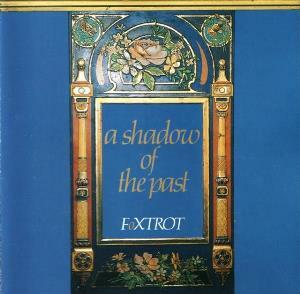 Taking in consideration the year of release from FOXTROT "A Shadow of the Past" 1984, the majority of progressive rock fans tendentially avoid this album and probably after to hear a few minutes of the track 1 "Here come the nuclear warheads" the rejections must have increased. Because if anyone thought to find a GENESIS remake (:specially of his "golden era" which belongs the album "Foxtrot" ), has a complete deception. The biography of the band in P A is perfect when says "reminiscent of CAMEL circa "Stationary Traveller" than the GENESIS song their name implies" and this is very clear. However, has a moment in whole disk where the sound of FOXTROT approaching of the greatest moments of GENESIS's sonority ; this moment is track 3 "A shadow of the past" a very beautiful piece of music with bass pedals and 12 string-guitar accompaniment, gentle keyboards melody and a lead guitar in Hackett's style, from far the best moment of the audience. But the track 5 "WarHero" and the last track "Monsoon" are also good ones. The worst moments are without trace of doubt : track 2 "Silhouette of the tiger" and track 4 "The Crowd". Only due the three tracks detached by me I give 3 stars !! !